Hi, Stuart. Love your work. Got introduced to you, like many, with Faithful. Listening to Sox/Pirates on my iPhone right now and wondered if you are on Twitter? Couldn’t find anything that was you. I just finished reading your “Wish you were here.” This story so closely parallels my husband’s life, including the golf, he & I could swear you were in the room observing the interactions between him and his mother. 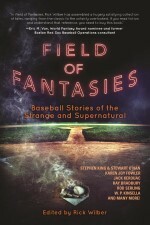 Your book drove me bonkers and I would like to know how you stumbled on this story line. This whole thing was spooky for me and took me back to a not so memorable time. Drop a line if you can. My husband grew up with your Father on Grafton Street. He lived at the corner of Grafton and Farragut and they played lots of basketball on Farragut. You never mention that the bus used to go down Grafton in Emily. I lived on Elgin and went to WT with your Aunt Carolyn. Also what seems interesting to me is that the ladies go east all the time while we often went to Aspinwall or Fox Chapel to shop. Love your interview on NPR about Emily. Thank you for sharing the process of writing your story. It teaches me how to look at things when you have a story to tell and how to go about it from a different point of view. 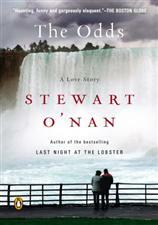 Just finished “Last Night At The Lobster” and loved it. Am now reading “Everyday People”. Love the Pittsburgh touch – as a South Side Hospital baby and a Mt. Washington resident ! The payoff was when Vanessa’s father goes off to Grenada and was killed. I spent two years in the Peace Corps teaching in Grenada. You write so beautifully. August Wilson was my playwriting MFA thesis. Thanks. Just wanted to drop a line and say that Night Country is one of my “go-to” novels of the past few years, but Faithful is by far “THE $HIT!” Being a Sox fan in Tennessee doesn’t lend itself much room for watching or listening to the games on a regular basis, so I tend to listen to my audio copy on my lunch breaks throughout the season just to remind me why I love the game. Keep fighting the good fight and GO SOX! Once a year, I treat myself to another read of your book “The Night Country.” Each time I read it, I discover something new to love. It is without a doubt my favorite book. Just one thing: I think there’s more than one way to interpret the ending, and wish I knew exactly what you had in mind. Nancy Martin is my neighbor and told me about Pittsburgh Noir, which I just picked up. She raved about your work! As a lifer from Shadyside and Highland Park I am looking forward to “Emily” I heard you on NPR the other day. Super! Stewart, at my uncle’s suggestion, I have been reading and enjoying “Emily, Alone.” I find it very moving and beautifully written. I’m eager now to read “Wish You Were Here,” which is sitting on the bookshelves at my family’s cottage just down the road from Pendergrast Point at Lake Chautauqua. Some years ago, I read “Snow Angels,” a book I greatly admire and one that I suggested, in turn, to my uncle. (Then, I’m afraid, a decade of grad school intervened, and I didn’t get to read much contemporary fiction. I like your work, because it’s contemporary, but with many elements of classic American literature. ) After I read “Snow Angels, I was under the impression that you had lived in Butler? Am I right, or did you spend your entire youth in Pittsburgh? What schools did you attend? I went Saint Paul’s in Butler in 69-70, but mostly grew up in the South Hills. Like you and President Obama, I was born in 1961. It’s Halloween, one of my favorite days of the year. In keeping with All Hallow’s Eve tradition, I’m starting the day with a re-reading of the haunting, pitch-perfect opening paragraphs of The Night Country. Those pages capture the delicious darkness and beauty and anticipation and wonder and thrill of Halloween better than any I’ve ever read. Thanks for keeping the jack-o-lantern blazing. I read a review of ” Emily Alone” somewhere, ordered it, and on reading it, felt as if I had been transported back to the old hometown. I too grew up in Point Breeze—-across from Lyndhurst Green and Mellon Park. Dave McCullough and I used to wait for the schoolbus at the same stop (corner of Dallas and Reynolds) when we were kids. You mentioned a family named “Sanner” in this book—-I went to Chatham College—then PCW— with Mary Kay Sanner (later “Hooper”) from the St. Bede area. Was your Sanner a tribute to the same family? Prantl;s Bakery? Never had their Tiremisu, but Oh, that almond cake! Henrietta Clay Frick Museum? Part of our family lore. And in addition there was the treat of reading your lovely novel. Young as you are, your portrayal of an 80 year old woman is positively eerie—-you have captured us perfectly and haven’t missed a trick. Thank you for some wonderful moments. I’ll now have the fun of reading your other novels. I just finished reading The Odds (previously just completed Emily, Alone) and once again could not put down either book and had to read both tomes in one sitting. And, once again; did not want either story to end. Thank you for creating such wonderful and unique reading experiences for myself and your many fans. I wish you continued success and look forward to immersing myself in your next novel. P.S. I would love to see you and Mr. King collaborate on another book…..
Hi Stewart, I’m a student of Peter Laufer, who’s class interviewed you about Last Night at the Lobster. I was in Thailand at the time, so I listened to the recording a few weeks later. I have a few follow up questions for you after the interview, which was a lot of fun to listen to. 1) How did you want to use the characters emotional states to relate to the development of the story and setting? I.E. hope, frustration, joy, anger, despair. 2) One of the things that I loved about the book was your ability to squeeze emotion and detail into inanimate objects, such as the Swordfish or the snow blower/icer/etc. What’s a tip for doing this in writing? 3) How many people did you interview for each character? Are they amalgamations of several people or are they the personalities of people you know personally? After listening to an interview you did with Nancy Pearl, I looked into getting some of your work. I read a lot of short stories so I first chose “In the Walled City”. After reading the descriptions of several of your novels, I knew I had to get “Wish You Were Here”! I have lived on the shores of Chautauqua Lake all my life. When I have read these, I expect to follow with the sequel, “Emily Alone” and your other novel that is “local” for me, “The Odds”. I admire your work. Hello Mr. O’Nan- I was introduced to you by A Prayer for the Dying- the most enthralling story I have ever read. I am not an avid reader, I get bored or snickety all too often and end up leaving a book by page 40-50. You on the other hand, I tasted the gritty air and smelled the frothing sick cow. My face burned from the sunlight while walking down the road listening to Jacob’s thoughts. Some authors Steinbech being one, and King’s Green Mile can pull me in so deeply that I get lost and stop seeing words – but the readers spell would only last 1/2 a chapter up to 2 chapters, then break off and I’m back to reading words on paper once again. You though, I was entranced by the readers spell within the first page and it hasn’t broken since. I finished reading the book in three days over ten years ago but it’s permanently in my mind as memories not stories. Thank you so much for sharing your gift. Going to nook now to get a hold of another title. I just finished The Odds and have determined that life is fate. How ironic is it that I found this book at my local library the same month as my 30th wedding anniversary! I self published a book last year on Annie Taylor called “Thunder Anna.” Niagara Falls holds a special place in my heart and I enjoyed reading your book immensely—it were as if an old friend was taking me on a tour of all the places there that I love. The combination of using odds, casino gambling, the setting of the Falls, Valentine’s Day weekend, plus the current economic crisis is nothing short of brilliance. At 74, I was constantly taking my own emotional pulse, wondering, am I normal? Going downhill faster than friends? Or somehow keeping up pretty well? Then I got to live in the world of Emily Alone, and feel I will never be alone again. How did you do it? How capture so dead-on (sorry for that) the days, the thoughts, the annoyances, the sudden funny bits of life? Thank you for Emily. What a profound journaling of a life. I wish she’d come back for third book. I love your work as well. And Emily Alone ranks as one of my favorite books and characters ever. Really made me mindful of my own aging mother. By the way, she loved the book too. I second Marybeth’s comment – PLEASE continue with Emily’s story. (Love how Emily’s reactions are so honest and not always PC but so real.) THANK YOU! (Came here looking for the next title of yours to read.) Oh – and Last Night is so great also – waitressed my way through college and you captured many thoughts I could relate to. Do you ever attend the LA Times Festival of Books??? Becki, yes. I live – and I mean LIVE – in a continuing care retirement community (CCRC). A wonderful place, many activities, fascinating people. Time after time, I can silently call up Emily and hear her take on the life here. She could live to 100 here. Lots do. I loved Wish You Were Here! I’ve been looking for stories that focus on the domestic and mundane parts of life – not easy! In Wish You Were Here I felt like I could taste the air and the passage of time, and feel the familiar frustration of passively struggling with old relationships and dusty old bad habits. Thanks! I am in the middle of an O’Nanathon!!!!! !I have read six of your books in three weeks and love your surprising style..each book is so different. You are a truly gifted writer. I look forward to more of your work. I am just finishing A Prayer for the Dying…..a difficult book to read, but as a nurse, I found it beautiful…the sensitivity to the subject. Stewart, as a fellow author, I began reading your A Prayer For the Dying last night and literally could not put it down (but did so around 2 a.m., for one does have to sleep. But I must tell you my admiration for the writing it is at once engaging and immediate, and like all good novels, in my opinion, forces the reader to participate mentally in order to appreciate the lyricism of the work. 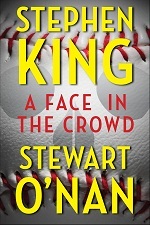 So thank you and it will not be the last Stewart O’Nan novel that I read. Stewart: I finished West of Sunset this morning and liked it very much. I read all of Fitzgerald’s novels and short stories in college (a very long time ago); I was quite a fan. I also read Nancy Milford’s biography of Zelda and was quite fascinated with them as a couple and family. It has been years since I read any of his works. Your treatment of Scott is so honest and touching; a powerful combination. I found myself wanting him to be “better” than he was, but always encouragingly so. I liked the descriptions of how he began to organize his last novel. It reminded me of passages in John Irving’s Last Night in Twisted River; through the protagonist you get a clear idea about how Irving writes. The book I read before West of Sunset was Mary Frailey Calland’s Consecrated Dust, so I am on a Pittsburgh author roll! Thank you for bringing such a touching and beautifully written account of Fitzgerald’s last years. I discovered you when I read “Wish You Were Here.” Then I eagerly purchased “Emily Alone.” Although I’ve lived in CT for 45 years, I was born in Pittsburgh and spent the early years of my life in East Liberty but consider Oakmont, PA, as “home.” I love the Pittsburgh settings. Then you published “West of Sunset,” which I just finished reading, and which compelled me to write to you. I wrote my master’s thesis on the romantic protagonists in the five novels of F. Scott Fitzgerald. While working on my thesis, at WVU, from 1967-1969, I read everything written by, and about, Scott and Zelda. My career was as a high school language arts teacher, and one of my favorite novels to introduce my juniors to was ALWAYS “The Great Gatsby.” I was enamored of “West of Sunset” and felt you captured the perfect tone for this bittersweet story and in the perfect writing style. I look forward to your next book and wish you continued success. I just finished “Emily Alone.” What an eye-opening book for me or for any person who is near Emily’s age! The book is about me. I sent a copy to my two daughters-in-law to explain to them just who I am. I loved the book!! Stewart: I read West of Sunset as I was riding Amtrak to Seattle from Pittsburgh to celebrate my 80th birthday with son Greg who is 50 the same week. Sixty years ago I first began to read F. Scott Fitzgerald and I could not put the book down as I read it watching America roll by. I knew he was going to die but the way you depicted his final struggle, made him, to me, such a heroic figure as he tried so valiantly to finish his novel, stay sober, and write short stories for Esquire to earn money. Even so, I was so saddened by his death when he was such a noble guy, when all is said and done. To find out you were from Pittsburgh and are now living here, it absolutely blew my mind, because I began to write novels at 70, all set in this town, which I love. One of the first things I did after getting home was to go to the library and pick up two other of your novels in the library and have just finished A Prayer For Dying. Again, it is such a powerful and descriptive novel, that I had to keep reading it until he goes back to his family after such absolute desolation. How you can write so completely different ( style wise and structure wise) I cannot fathom. You are without a doubt the most powerful writer of literature in America today, no question about it. So now that I’m back and have finished A Prayer For Dying, I’m about to dig into A World Away. One last note; I have a few heroes in my life; Roberto Clemente, who I watched play both in Puerto Rico when I was in the service and here; Dr. Thomas Starzl, who I worked for here at UPMC; and Maxwell Perkins, who comes through again, without question, when Fitzgerald asks him for money. Thanks so much for what you write.